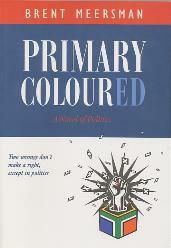 Covering the length and breadth of the country, Primary Coloured gives a unique insight in to the current state of the nation, power, and a behind the scenes account of how election campaigns, Parliament, politics and money works in the new South Africa. “Two wrongs don’t make a right – except in politics!” laughs Charlene Kennedy – the tough, charismatic woman leader of a new political party. As the country nears a general election, a major scandal involving a controversial mining magnate and the battle for the successor to the President threaten to rip the nation apart. Zandile – a young, female journalist – is on their trail. How will Kennedy’s fledgling party pit itself against the ruling ANC, and an official opposition who know and use every dirty trick in the book? It’s the story of a band of young idealists – Terrance, the laidback tree-hugging environmentalist, Joel – the theatre producer turned campaign manager – in a struggle against their own human weakness, where politics brings out the worst in people – lies, greed, corruption and personal ambition. Will they survive with their integrity in tact? What influence does Valentine, Kennedy’s opportunistic sidekick, wield? Who really is Moira, the mysterious British volunteer Terrance falls in love with? And what to make of the bizarre plot they uncover to kill the President?